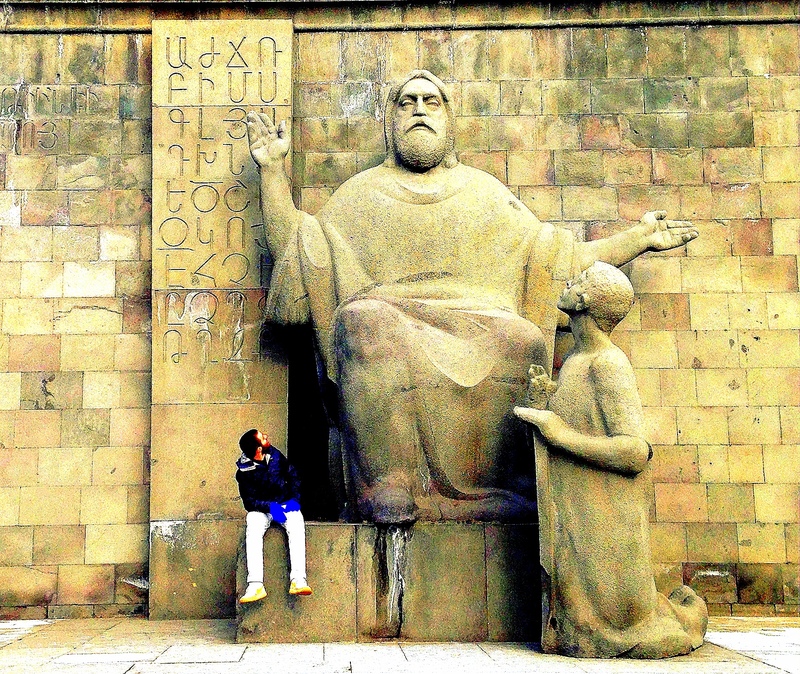 The most dramatic of all Mesrop Mashtots statues is the one in front of the Matenadaran, a.k.a. the Mesrop Mashtots Institute of Ancient Manuscripts in Yerevan. Around five meters tall (15-20 ft.), it shows Mesrop sitting stately with Koriun, his loving student and biographer, kneeling by his side. I recently took a trip back to Georgia, and I went to Armenia too. I’m not much for travel writing, so I’ll just give you the itinerary and some photos. Then I’ll point out updates I’ve been able to make to past posts. Before that, however, I’d like to explain this blog’s new header image. For the past two and a half years I’ve used an image of some old Georgian calligraphy that I pulled from Wikipedia. That was fine for a while, but aside from the fact that it wasn’t my own image, it now strikes me as too limited. For while this blog started out as being only about Georgia, regular readers will have noticed that its scope has expanded somewhat to deal also with the regions and cultures surrounding and influencing Georgia. 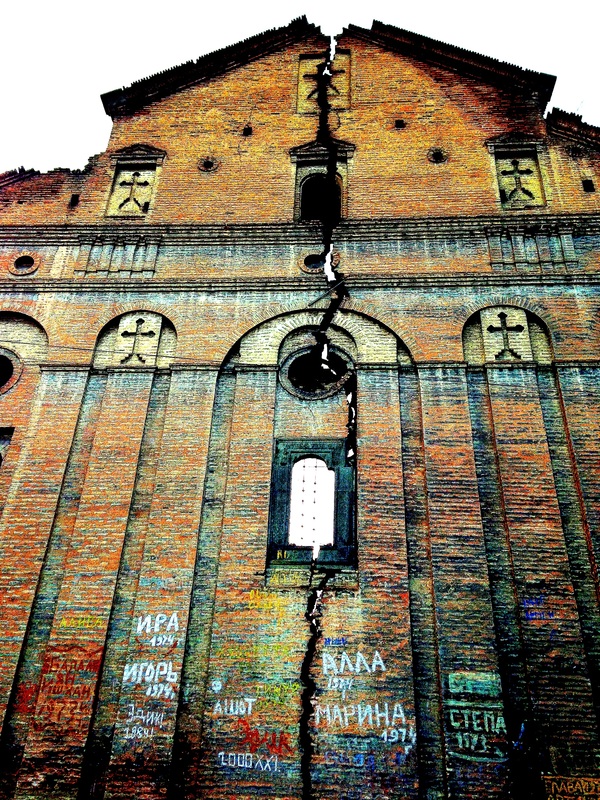 So this new image is fitting: the decayed ruins, covered in Russian graffiti, of an Armenian church in Tbilisi. The Armenian alphabet is an alphabet used mostly for writing the Armenian language, though it has occasionally been used for other languages. 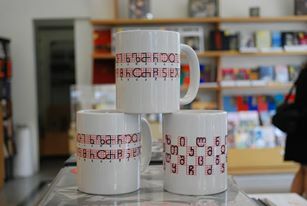 It looks strange to me, like a cross between the Georgian alphabet and the Arabic alphabet. I don’t know if there’s any objective sense in which individual Armenian letters are actually harder to read than Georgian ones, but because of its distinct upper and lower cases, Armenian writing as a whole is probably objectively harder to learn than Georgian. Armenian (Armenian: hayeren, հայերեն) is a language historically spoken throughout the South Caucasus and in the eastern part of what is now Turkey. 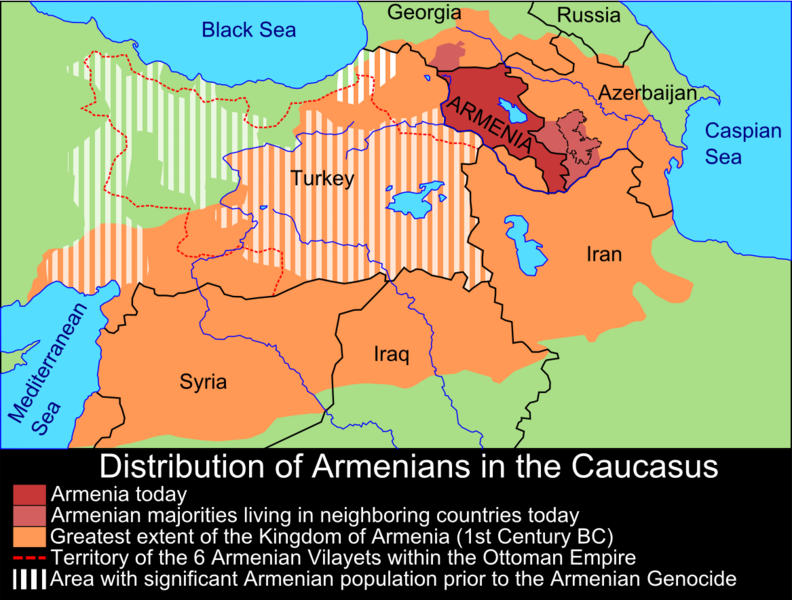 Today, as a result of a century of war and genocide, the native range of Armenian has been restricted to the modern country of Armenia, the semi-country of Nagorno Karabakh, northern Iran, and the Javakheti region of Georgia (or Javakhk; see Notes on Terminology). Many (perhaps most) Armenian speakers are scattered abroad, mostly in Russia, the United States, and various Middle Eastern countries.